Since I have gone back to working for someone, my free time decreased. My evenings are typically consumed by making dinner, entertaining a vizsla, and doing side work. Even though I have no problem keeping busy, I can’t forget to take care of myself. My challenge going to the gym is how much time it takes. I can wake up at 4 am (ish) and get there by 5 am (between getting dressed and commuting). From there spend 45 mins to an hour, then I would head home. I would still need to shower, make breakfast, and walk the dog. If I was to wake up this early, that means I need to go to bed by 9 pm to reach at least seven to eight hours of sleep. That would give me two hours at night to do anything I need or want to do. The other option is going after work. I wouldn’t be able to make it until about 8 pm, but then that uses up my time to do my side work. These are just good problems to have. I decided I needed to find a way to keep up with health in between everything that life throws at me. 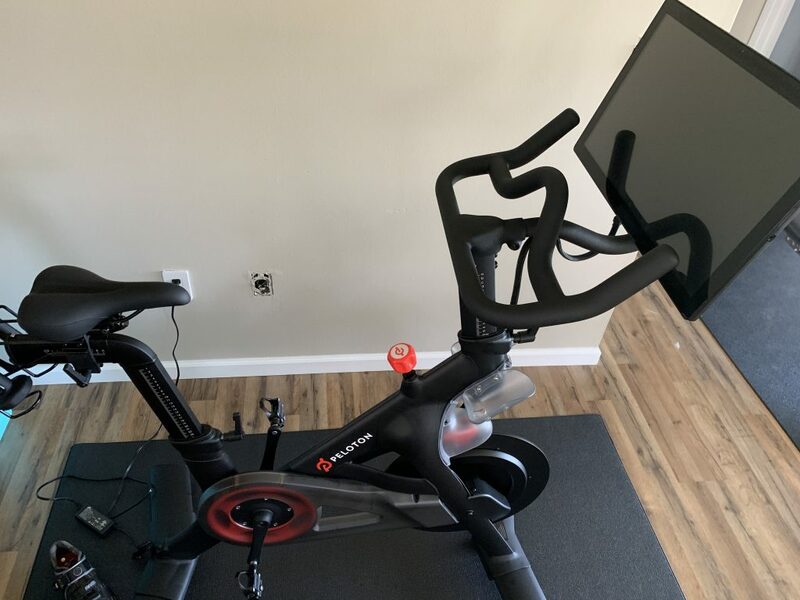 That was when I decided to get a Peloton Bike. I saw all the commercials and heard a few friends rave about their experience with it. Since the price tag is up there: $2,245 for the basic package, I had to decide if this was for me. I researched what people said about the bike and their experience. It was more than reading if people were losing weight when using it. Ultimately, if you eat healthily and work out, you will lose weight. I get that 100 percent. I wanted to read beyond the weight loss part because that was not my struggle. The question that I had was: Are people truly happy using this pricey piece of equipment? From everything I read, I would say answers point to yes. I decided to take the leap and buy one. I figured they have excellent resale value if I decided that I hated it. My final decision was to take a look at the bike in person at the Peloton showroom in Boca Raton. I looked around at the people who were in the store. The crazy thing to me was that people who own the bike already sometimes go to the store to take one of the live classes. I don’t totally understand that because the store is housed in the middle of the mall. Who wants to walk around all sweaty in your work out clothes at the mall. Apparently, these people do so to each’s own. I already had in my mind that I was going to buy the bike. I looked at it and the accessories that it came with and decided I am going to do it. I used a friend’s name as a referral. The store was able to look them up without having the code. My friend got a $100 credit to purchase something at the online boutique, and I have a $100 off on accessories. For accessories, I decided to get the weights, the mat and that was it. I didn’t care for the earbuds and the shoes were $125 (I think). Then, I went to a local bike store and bought cycling shoes. I felt like they would be better quality than the Peloton Bike shoes. I don’t know if they are, but I am very happy with what I purchased. The shoes I got were not that much less expensive than the branded Peloton shoes, but the quality is much better. I did get to try out the Peloton shoes when was on a business trip in NYC near the studio. I would say that the shoes I purchased from the store were much better quality. I’ll write another post about my experience there another time. Okay so now I purchased the bike and the accessories, but I needed the actual bike itself. I received an email from the corporate office scheduling the delivery. Apparently, there is a warehouse here in South Florida housed in Miramar. It’s not too far, but maybe about an hour+ drive time from my home. So fast forwarding to the day the bike was delivered, I will still very confident in my purchase. The two ladies showed up in the Peloton van and carried the bike upstairs. It was already assembled except for the touch screen monitor. As a tip, I gave them a few hundred dollars worth of pictures that I planned on donating to Goodwill. I was doing a bit of a cleanup here. They seemed very appreciative. And that was the day I received the bike. Since then, I’ve been using it regularly. I started off using it early morning hours, but it’s shifted towards the evenings now. I also like that it has other workouts that you can stream to the TV or use for audio only. The other workouts that you can stream are yoga, meditation and strength training. For the audio, you can use it for walking or running outside. For all that, I end up paying about $41 a month (including taxes). I am very happy with my purchase, and it fits my lifestyle well. 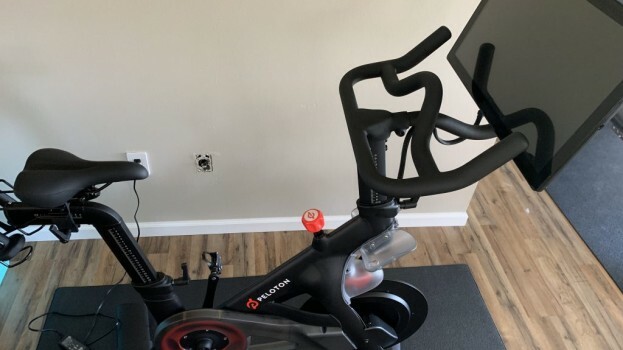 I plan on posting my endurance and strength training using the Peloton product. If you do ever decide that you are interested in the bike, let me know. We can take a live or on-demand class together!